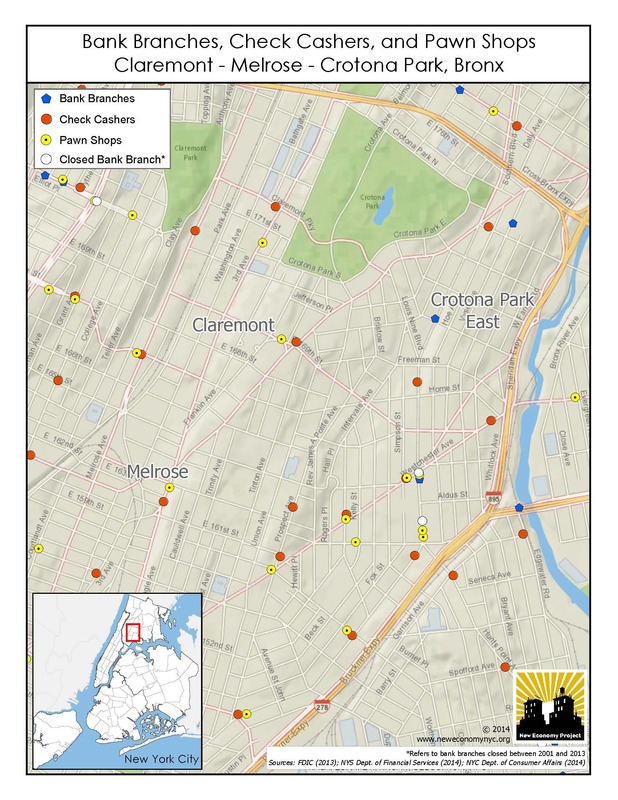 New Economy Project provides mapping support to community groups and coalitions in NYC. 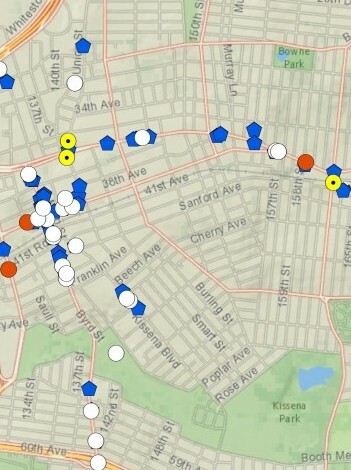 Check out some examples in our map gallery, and contact us to learn more. 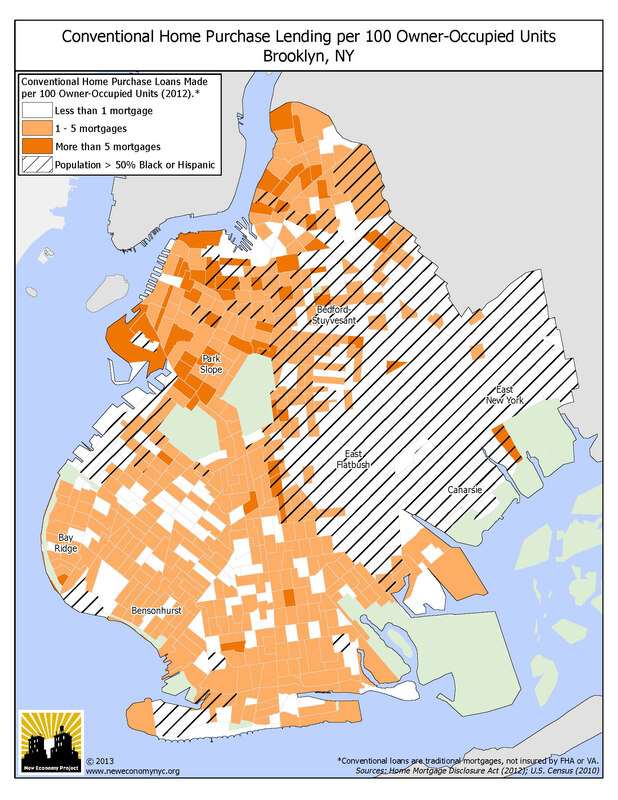 New Economy Project has produced a series of maps showing major disparities in banking access across NYC neighborhoods. Maps show stark inequities in mortgage lending based on race, as banks continue to deny fair access to conventional mortgages in black and Latino neighborhoods.